When e-books started becoming a “thing” several years ago, I swore up and down that I would never get one. Books in their physical form have always held a sort of magic for me, and no matter how much I might love my other electronic gadgets, I couldn’t imagine giving up the pleasing feel of holding an actual bound book in my hands, or the satisfying sight of their colourful spines lined up on my shelves. But then Peter received a Kindle for his birthday one year, and fell in love with it. He appreciated being able to control the size of the text, but was particularly thrilled with the realization that with his e-book he could have an entire library available at his fingertips, all contained within one small and extremely portable device. So (still rather skeptically) I decided to buy one for myself and started building up my library of e-books… and was quickly enthralled. I revisited classics I hadn’t read since I was a child, bought books I remembered reading and loving but not owning, and generally went a little e-book crazy. Oh, I didn’t give up my paper-bound books – and still maintained that I loved them the best – but anything new to my library was purchased and devoured on my Kindle. Then some of the quirks of using an e-reader started to annoy me. While I loved the ability to highlight unknown words in the text and immediately have a dictionary definition pop up, flipping back a few pages or chapters to remind myself of the details of some point that now had bearing on the current passage I was reading was cumbersome. And trying to find a specific reference without the “page memory” I always had with physical books made contributing to book club discussions a little frustrating. Not surprisingly, after a time I found myself longing for my “real” books again and so, a little disillusioned with the whole e-reader experience, I set my Kindle aside and returned to my first love. Until a short while ago when, inspired by a movie viewing of Jane Eyre, I remembered that I had a copy of that book on my Kindle and decided to dust it off and give it another try… and some of the old love I remembered feeling began to return. That might have been it, if it hadn’t been for last week’s combination of sickness and inclement weather that prevented me from getting to the library to pick up a couple of books I’d reserved. At first I was frustrated, then suddenly realized that I didn’t need to let such petty details prevent me from getting my hands on the books I wanted to read – I had my Kindle, after all! I bought the books, had them instantly delivered, and was in short order happily lost in their depths. So now I’ve come full-circle. I realize that I love physical books for their smell, their tactility, their presence. I realize that I love e-readers for their portability, their added features, their almost-instant gratification. I realize that I love READING BOOKS: whether physical or electronic, purchased or borrowed, it’s the words and thoughts and knowledge contained within that’s important to me. And I will continue to devour them… in any form. 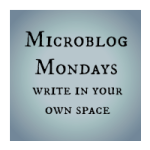 → #MicroblogMondays 25 linkup here! 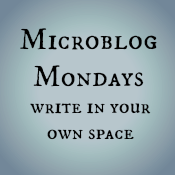 #MicroblogMondays 23 – Snow Day! I’m much the same – I think self-help, or anything with pictures/diagrams, is much easier to use when it’s a physical book. I guess it’s nice just to have options! Interesting. I relate totally and choose which ones I read on my Kindle and which ones I want to hold in my hand — those are the ones I got for Christmas and were on my list. Also interesting is how many Kindle eBooks I sell versus paperback. I sell more paperback, by far. Carol Graham recently posted… Is There Ever A Bad Time For Good News? Very interesting – I would have thought it would be the opposite! I guess you just never know! I have a Nook and Love it. We actually have several. My son has one, we share an account so we can share books, my granddaughter uses one of my older ones to play learning games and watch movies. I have a Kindle also but haven’t used it yet. I like to read in bed so I use my glow reader there. The weight of regular books got to be to much for my hands. The reader saved me. I was reading a book every few days until the stroke. Now its longer but I still love it. snarkymommawithlove recently posted… Coffee, Birthday Cake and Red, Red Roses! That’s excellent that you have an option that works for you! And nice to be able to share books with other family members. I was forced to change to E-books when I lived overseas in a non-English speaking country. The one English book store was hours away, and I would have had to lug books back and forth. I bought an ebook reader. I love them because they can make reading social. 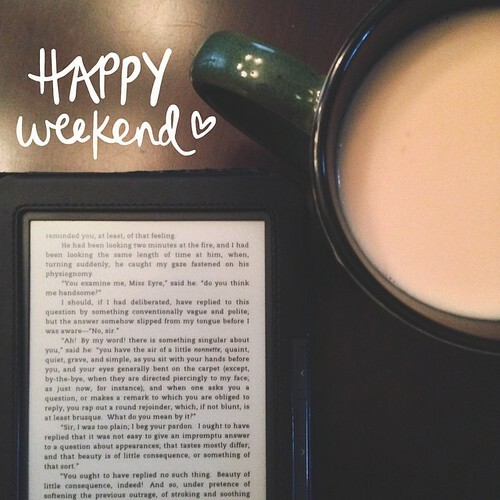 I love Kobo’s social reading apps. At the same time, I know I’ll always have far too many print books at any home I have because they are my comfort item – rather than a blanket, or food, you’ll find me hugging a book. It really is great that we have so many options – never a need to be without a book in some form or another! I have a nook and I love it. I still love to get real books, especially when they’re by my favorite authors and friends, but I love being able to read in bed without a light on, being able to control the size of the text and having a whole library of books and magazines with me when I travel. Also great for library books! I’ve not yet bought an eReader. I have the Kindle app on my phone and my husband has it on his tablet. I think I’ve come close to buying an eReader but just can’t bring myself to take the leap yet. One nice thing about e-books – they don’t take up any space. Very true! When I was just looking through my directory of e-books, I realized that if they were physical books they’d have taken up quite a bit of room on our shelves – and I probably would have had to leave them behind when I moved. So I’m glad to have the electronic copies! You pretty much read my mind. Love physical books, but ebooks are soooo convenient. It doesn’t have to be one or the other, right?! Stephanie (Travelcraft Journal) recently posted… Questions for me? That’s right! And someone else pointed out to me that I’d missed mentioning audiobooks… so there’s yet another option! Oh, yeah! Audiobooks are great too! Good synopsis, Laurel. I haven’t yet purchased a Kindle but I have evolved from ‘never’ to realizing there are some positives to having one for reasons you mention. I have no plans to buy one, but I know it will be a quick click at Amazon one of these days. And the technology is getting better and better – I just discovered that the Kindle Paperwhite actually lets you scroll back or forward without losing your place – so by the time you take the leap, who knows what they’ll have invented?! Reading is what really matters, I think! I think I’ll always prefer the aesthetics of physical books – there’s just something about them. Still, it’s nice to have options! I prefer books, but I like my Nook. I like to take it to the beach with me. I generally read fast, so I need a few books. And the screen on the Nook is perfect in the sun. Good point! And having a few books with you on an e-reader is a lot lighter when you’re traveling. Nice to have the option! I can relate to everything you’ve said, Laurel! 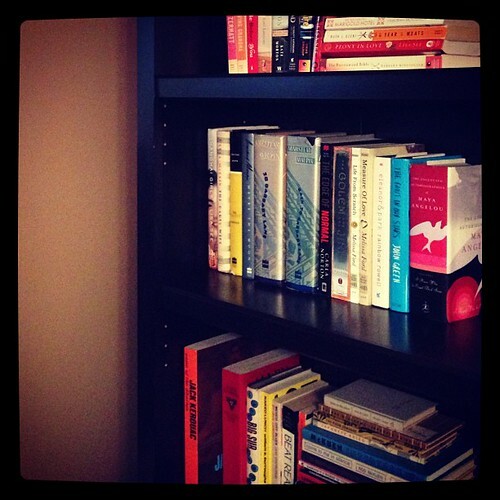 My house is filled with books on shelves. Hubby bought me a tablet for Christmas in 2013 and I started buying ebooks then, too. It’s great for travelling and reading in bed, late at night, but otherwise, I still prefer the real thing. Debbie D. recently posted… PET ODOURS AND STAINS? HELIOS TO THE RESCUE! I am still a paper-book person, through and through. That being said, non-fiction where I’m doing research? Better on e-book (I just email the highlighted passages to myself). Books I want to have with me at all times that I already own in paper go in the reader. Books that aren’t at the library go in the reader. I don’t love reading in that medium, but I’ll do it for the sake of ease in certain situations. 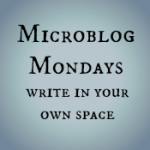 Vinitha recently posted… #MicroblogMondays – Of tiredness and Gratitude list! It’s definitely great that we have options!